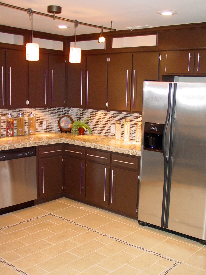 Inglewood Cottage with BREATHTAKING Kitchen! 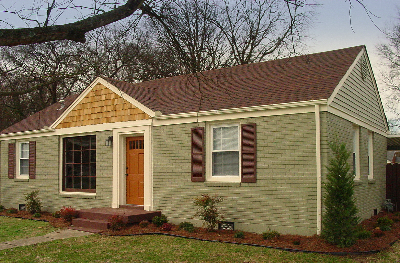 This freshly painted brick beauty sits on a corner lot and boasts an absolutely AMAZING kitchen with custom tile insets and back-splash, granite counters, generous amount of cabinets with cool industrial pulls and decorator lighting (with upper lighted niches for display items!) 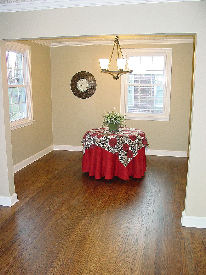 Beautiful hardwood floors in dining, living, hall and both bedrooms. 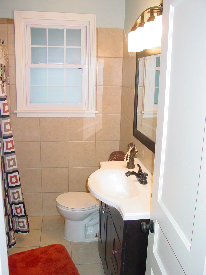 Tiled full and half bath (which has cool built-in shelves with accent lighting). 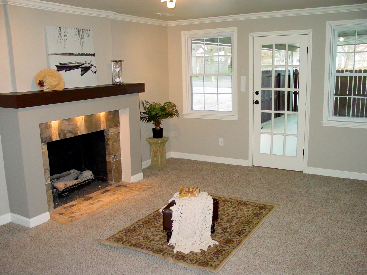 Over-sized den with custom fireplace surround with under-mantel lighting. Attached garage with breezeway to fenced rear yard and additional storage building (same size as garage!) for crafts or potting shed. Covered patio with privacy screen, lots of paved off-street parking. New window blinds. 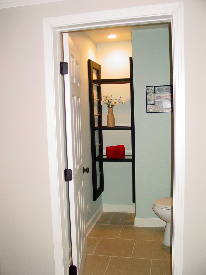 Truly move-in ready and dream come true features. Shows beautifully!